Until the end of May the convent of El Carmen, in the historic center of Valencia, exhibits the best drawings of Joaquín Sorolla, a renowned Valencian and one of the greatest exponents of Impressionism in Spain. We bring him closer to you. AIP Spanish school suggests several activities for students from and all over the world and of all ages, but specially ages 20 to 40. Traditions like Fallas and paella are some of the few things people previously know about Valencia, besides the beach or the much sought-after sunlight. On behalf of the member schools of FEDELE Region of Valencia we try to broaden the students knowledge by taking them to museum visits and all kinds of cultural activities. This week, from the hand of AIP, we are invited to the exhibition of one of the great masters of Impressionism in Spain. The “Sorolla: Apuntes en la arena” exhibit (Sorolla: notes on the sand) gathers 123 pieces that had never been shown to the public. These are part of the more than 5,000 drawings signed by artist Joaquín Sorolla during his lifetime, one of the most internationally recognized Valencians. The display -opened until 29 May– focuses on a less well-known facet of the artist, whose most famous and iconic paintings depic daily family scenes by the sea of Valencia as it was seen at the end of the nineteenth, beginning of the twentieth century. For Sorolla (1863) these drawings, which finally see the light in his home town, were not previous sketches but a work in itself, a way of getting into detail, familiarizing with sunlight, the gestures and the silhouettes that will later compose the many scenes of his paintings. The sea and Malvarrosa beach attract all visitors who come to Valencia. 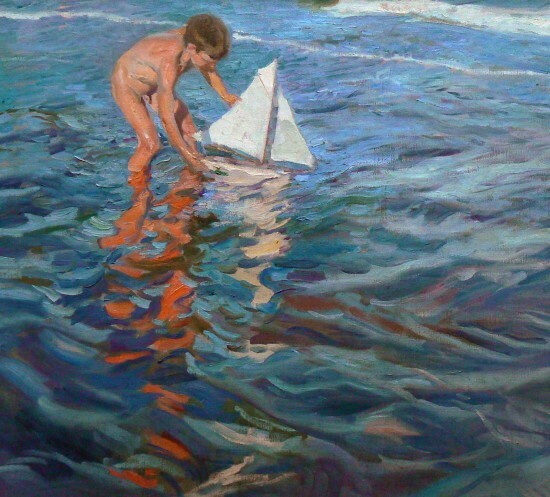 And it was Sorolla who immortalized, like no other, that special sun drenched feature that appears in paintings like Strolling along the Seashore, Children on the Beach,The three sails or The fisherman. Considered one of his masterpieces, Sad Inheritance also shows the sea in the background -always fundamental for Sorolla- although it doesn’t show that positive, summer sunlight that his most famous works depict, but a more lugubrious touch appropriate for the theme of the painting. He’s well-known for his work for the Hispanic Society of New York in 1911. He was commissioned fourteen murals depicting the different regions of Spain to decorate the rooms of this institution. His greatest pieces hang from galleries like the Prado museum, the Thyssen museum or his own Sorolla museum in Madrid, inaugurated in 1932 shortly after his death in 1923. One can follow this artist’s footsteps in the so-called Sorolla Route of Valencia as well as visiting the exhibition currently set up at El Carmen convent, a unique location in the city center. 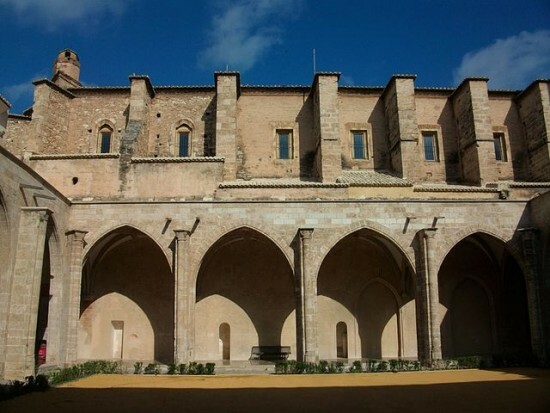 The convent’s construction dates back to the thirteenth century but it later underwent several renovations leaving a trace of the gothic and Renaissance styles. During the nineteenth century, the old convent held the school of Fine Arts. 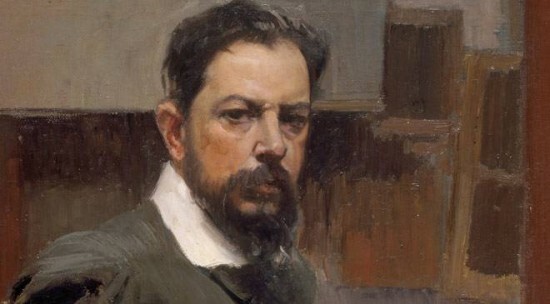 In fact, through its many rooms, great artists such as Ignacio Pinazo, Mariano Benlliure and Joaquín Sorolla himself were known to have walked its halls. In 1983 it was declared a National Historic-Artistic Heritage Site. Between 1989 and 2011, once opened as a museum, it has benefited from a thorough process of remodeling. Shall we go have a look at it too? The Sorolla drawings are just the perfect excuse.